Stock Wrangler is good SUV with awesome capabilities for offroad. So it's not unexpectedly that many people are modifying Wrangler. 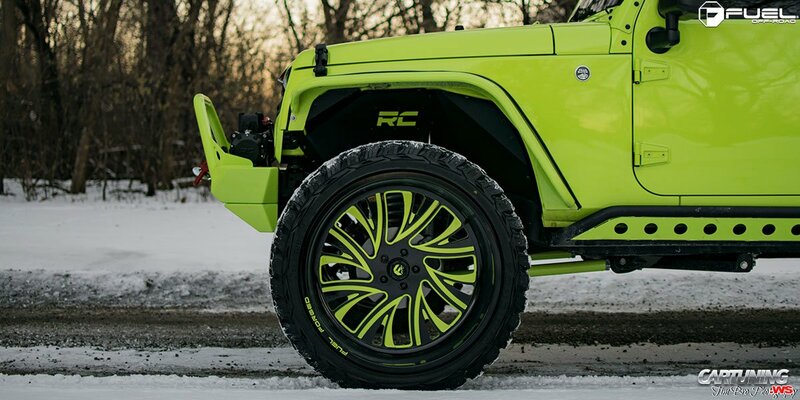 And this green 5-door Wrangler is proof.